Cousins, Treasure hunts & Planes - Time for a nice cup of tea? The flat this weekend was full of small boys - Drew 6, Markus 4, Patrick 2 - and lots of noise. 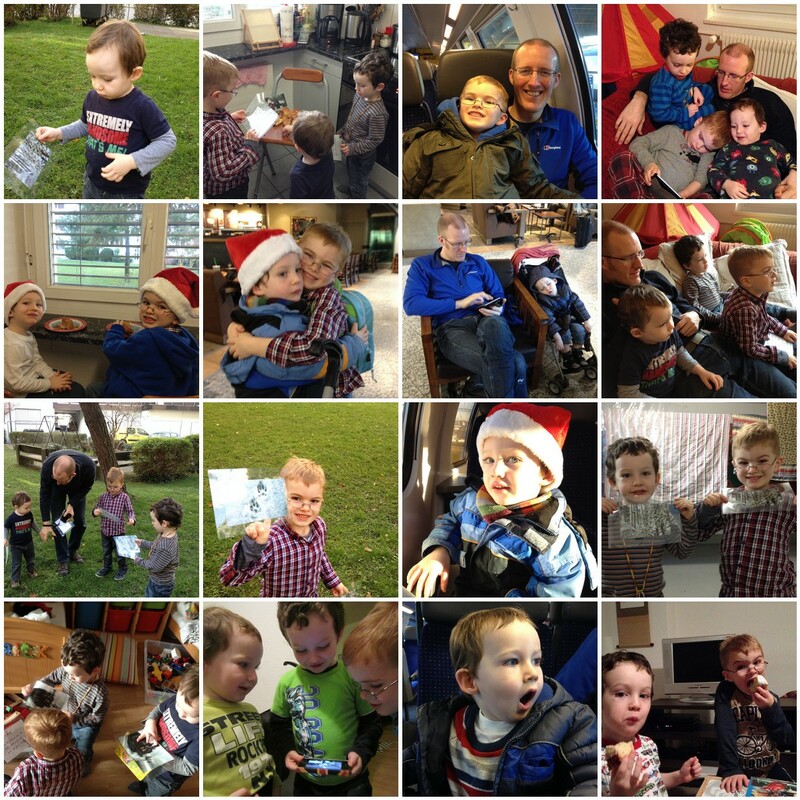 The highlight of the weekend was a steam train trip to the forest to meet Santa Claus (separate post to follow) - but in between times we had a treasure hunt, slobbed on the sofa, went to the airport and watched planes. The boys mostly played really well together and it was lovely to see our boys interact - it was also good to have time together with my brother. Sometimes it's hard to remember that we are grownups now with our own families. It is hard having family so far away, but these special weekends and memories more than make up for it!